The new parish center serves a large and very active community. This is a single story, 13,000 SF multi-use building. It was designed to accept an additional 3,000 SF of support space that is currently planned for 2013. 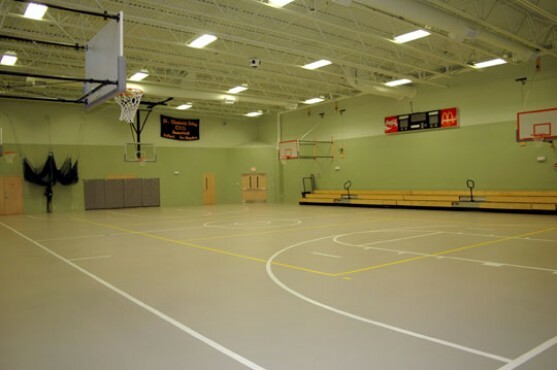 At the core of the center is a large meeting/function room whose footprint and height provide a regulation size basketball court for the parish’s active community basketball program. This core space is surrounded by classrooms and meeting rooms to support Sunday school and activity programs throughout the week. A fully equipped commercial kitchen also supports church dinners and similar food centered activities.